Diablo III has become the fastest-selling PC game of all time, with more than 4.7 million players clicking the demons away on launch day. 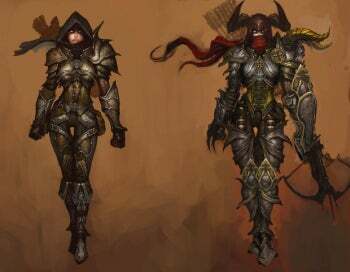 Blizzard sold 3.5 million copies of Diablo III in the first 24 hours, the publisher announced, and another 1.2 million players received the game for free as part of a World of Warcraft Annual Pass promotion. One week after launch, more than 6.3 million players had joined the fray--not counting players in Korean Internet game rooms, where Diablo III also achieved a record share of play time. Last November, after a quarter of huge growth for Nvidia graphics cards, CEO Jen-Hsun Huang explained that PC gaming is cyclical. It becomes more attractive as home game consoles get older, because they can't keep up with the processing power of a new PC. Right now is prime time for PC gaming, and Diablo III capitalized on this. Though I can't back this up with statistics, I suspect that the changing tastes of gamers has made Diablo more alluring over the years. RPGs have always enjoyed a devoted audience, but through console hits like Mass Effect, Borderlands, Fallout 3 and Skyrim, the idea of building a character and customizing him or her with new skills and weapons has become a mainstream concept for video games. Diablo's cycling of killing bad guys, collecting loot and leveling up is now a recipe for AAA hits, so more gamers may be receptive to the series than they were 12 years ago. At least that's why I dove in, despite having never played a Diablo game before.